When I covered the war in Bosnia I got to know Nermin Tulic, a prominent Sarajevo actor. He had his legs blown off by a Serbian shell on June 10, 1992. As Francois Mitterrand, the former French president, observed in 1995, prejudices must be conquered because the alternative is nationalism — and “nationalism is war.” Almost a quarter-century later, nationalism advances. From Hungary to France, from Poland to Britain, nationalists pour scorn on the European Union and seek its unravelling. “Poor Cassino, horror, wreck and desolation unbelievable, roads smashed and pitted, mines, booby traps and graves everywhere. Huge shell holes, craters filled with stagnant slime, smashed buildings, hardly outlines remaining, a silent sight of ghosts and shadows. Pictures should be taken of this monument to mankind’s worst moments and circulated through every schoolroom.” That was Europe not so very long ago. In recent years Muslim refugees from the Bosnian town of Srebrenica, women and children, their menfolk executed by Serb nationalists, clamouring for help from United Nations forces in 1995. I am a European patriot because I have lived in Germany and seen how the idea of Europe provided salvation to postwar Germans; because I have lived in Italy and seen how the European Union anchored the country in the West when the communist temptation was strong; because I have lived in Belgium and seen what painstaking steps Nato and the European Union took to forge a Europe that is whole and free; because I have lived in France and seen how Europe gave the French a new avenue for expressing their universal message of human dignity; because I have lived in Britain and seen how Europe broadened the post-imperial British psyche and, more recently, to what impasse little-England insularity leads; because I have lived in the Balkans and chronicled a European war that took 100,000 lives. I am a European patriot and an American patriot. I am not from one place but several. The bond that binds the West is freedom — the cry of revolutions on both sides of the Atlantic. There is no contradiction in my patriotisms. Patriotism is to nationalism as dignity is to barbarism. As nationalism equals war, so contempt for the law brings savagery. Will anyone remember Europa? As Polish poet Wislawa Szymborska wrote of the aftermath of war: “Those who knew/ what was going on here/ must make way for/ those who know little./ And less than little./ And finally as little as nothing.” European patriots do remember. They are multiplying in the face of danger. 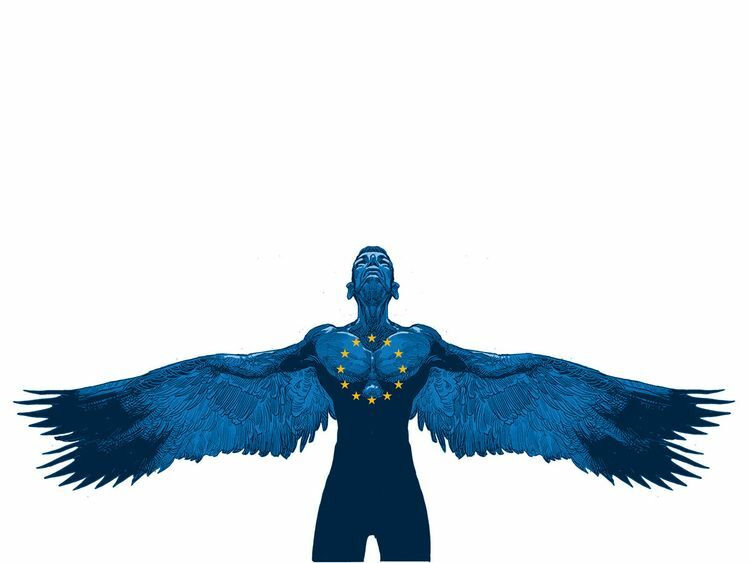 Writers including Milan Kundera, Elfriede Jelinek, Ian McEwan, Anne Applebaum, Salman Rushdie, Bernard-Henri Levy, Herta Muller, Adam Michnik and Orhan Pamuk have just published an important European manifesto, drafted by Levy. We must. European unity is a peace magnet. I am a European patriot for my children and grandchildren. It is they who will pay the price if the most beautiful postwar political idea dies.